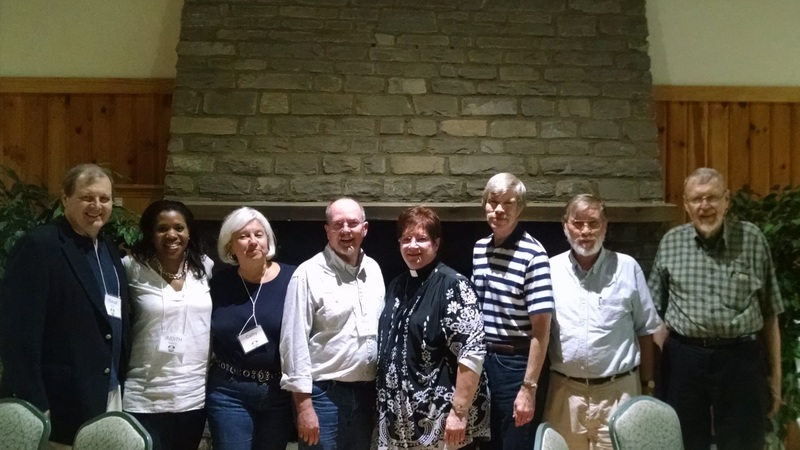 The six ethnic associations of the ELCA were invited to send their presidents or other representative to bring greetings to the Church Council at its meeting April 7-10 at the Lutheran Center, Chicago. Each association submitted a one page report for the packet for board members and were extended a couple of meetings to give greetings in person. The EDLARJ president's report is here and the link to his greetings are here. The president is the Rev. Dr. Russell L. Meyer, pastor of St. Paul & Faith Lutheran Churches, Tampa, and Executive Director of the Florida Council of Churches. Please find below a statement by our Presiding Bishop on Refugees and opposing efforts by governors against the refugee resettlement program. 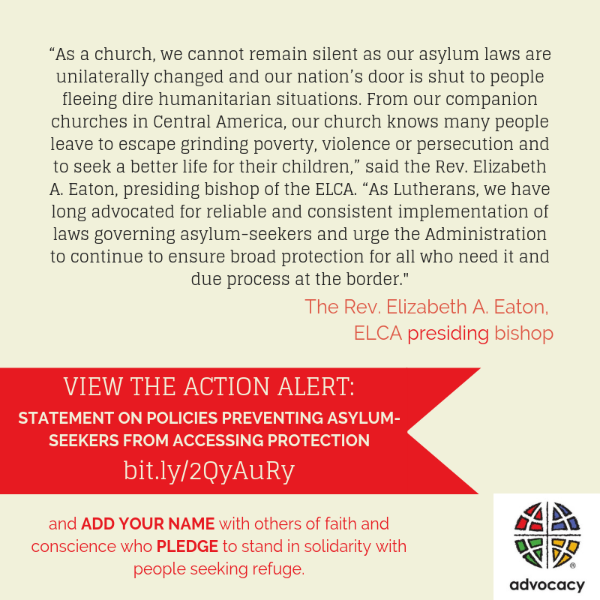 Also below, statements by ELCA Bishops in multiple states in support of refugees. The 2015 EALA Board and Assembly took dramatic action in changing the name of the organization to reflect clearly its nature and mission. The new name is The European Descent Lutheran Association for Racial Justice. The association is a partnership network that draws together Lutherans to focus their intentions and ministries in realizing a cross-cultural church in which all peoples experience inclusion, equity, and power - a church in which privilige no longer separates ethnicities. The assembly also elected the Rev. Dr. Russell L. Meyer as President and Ms. Cathy Crimi as Vice-President. Pastor Mark Cergnalia contines as Secretary and Bev Dirkin as Treasurer. 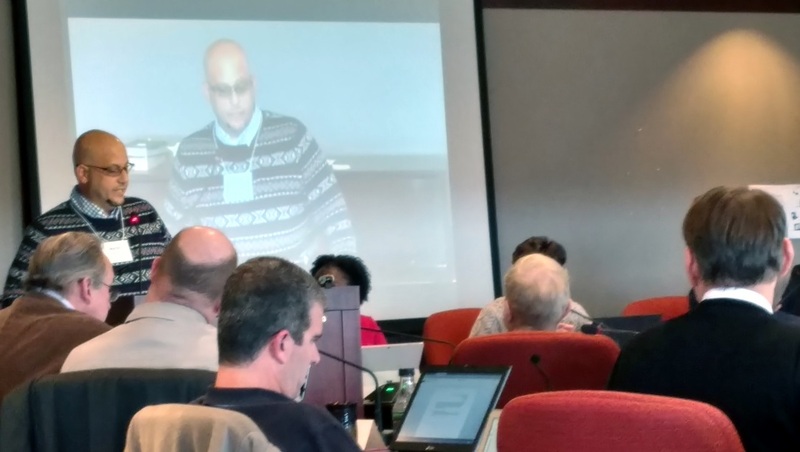 The assembly also prioritized its primary goal as helping synods establish anti-racism/racial justice/full inclusion components in their organizational structure. The association met alongside the Associaition of Hispanic Ministries, which also adopted a new name and strategic plan. Look for details of the assembly to be published soon. The group had a conversation with Dr Clayton Schmitt, Provost of LTSS. 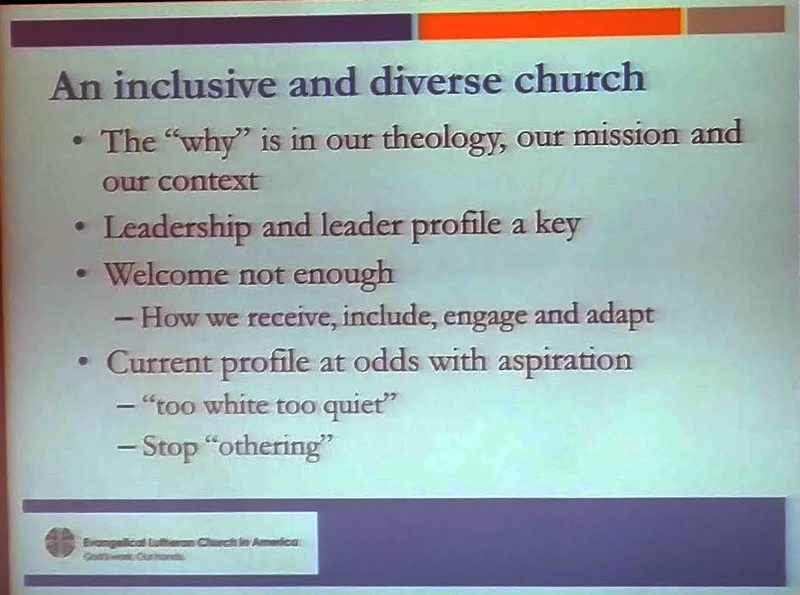 Dr Schmitt shared the schools response to the Charleston martyrs, its missional focus in preparing rostered leaders to engage all aspects of the parish in which they have their congregation call, and the ways in church institutions can address racism going forward. 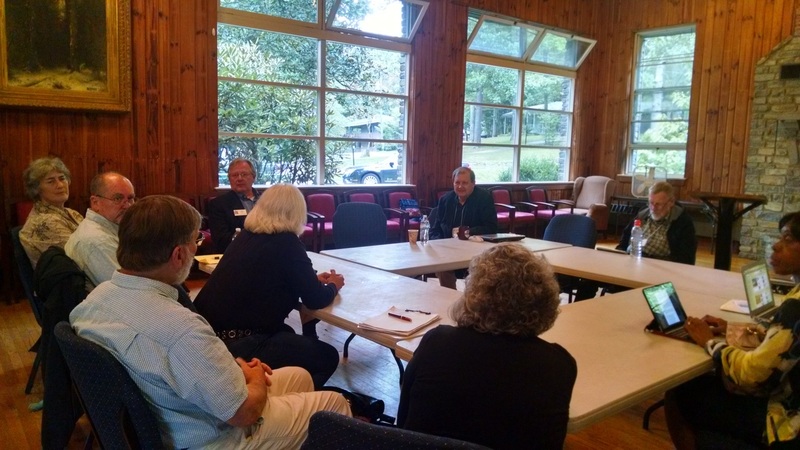 The group also met with the Rev. Brenda Kneece, Executive Minister of the South Carolina Christian Action Council, who provided first hand accounts of the struggles against racism in the state, including the work of Hon. Rev. Clementa Pickney and the removal of the Confederate flag from the state house. 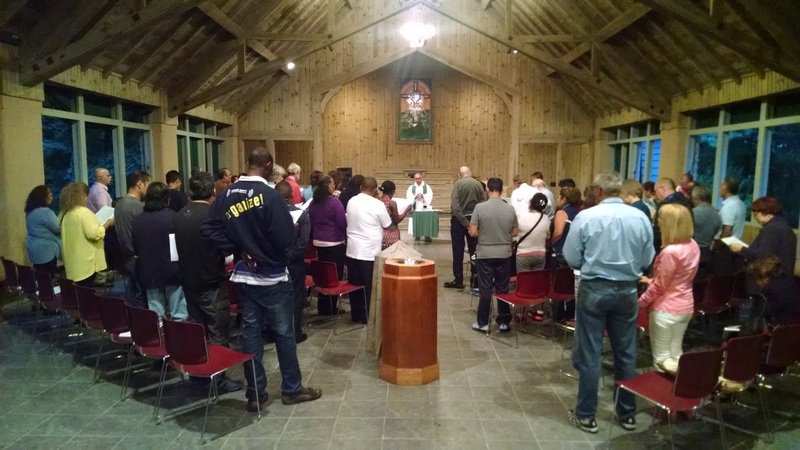 Below is the opening Eucharist with the Hispanic association. Rev. Rafael Malpica, ELCA Executive for Global Mission, presided and preached. Recently, EALA Board Member, Pastor Mark Cerniglia traveled with the Rev. Sherman Hicks and the Rev. Pongsak Limthongviratn to the Seventh Asian Lutheran International Conference, January 25 – February 1, 2011, Pattaya, Thailand. Pastor Cerniglia is the EALA liaison to the Asian and Pacific Islander Association and is responsible for his own travel expenses. Click on Read More for ALIC video. 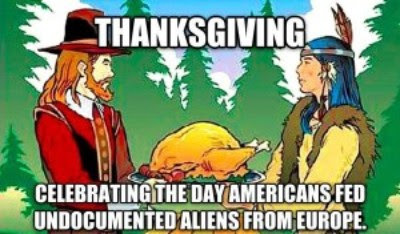 For the first time in history, the American Indian and Alaska Native Association (ANAI) and the European American Lutheran Association (EALA), two of the ELCA’s six ethnic associations held their Biennial Conferences together October 18-21 at the Minneapolis suburb of Prior Lake. ELCA Presiding Bishop Mark Hanson was the guest preacher at their Thursday evening opening worship. Trayvon was killed. What should we do here in Rockford, Illinois?